excluded. The patients were enrolled and followed up prospectively. Results: A total of 185 patients were included in the study. The survival was 94.6% at the 1st year and 57.0% at the 5th year. encephalopathy in 18% of patients at the 5th year. nedenleri dışlanan hastalar NASH’e bağlı siroz olarak kabul edildi. 1. Sattar N, Forrest E, Preiss D. Non-alcoholic fatty liver disease. BMJ 2014;349:g4596. doi: 10.1136/bmj.g4596. 2. Younossi ZM, Otgonsuren M, Henry L, et al. Association of nonalcoholic fatty liver disease (NAFLD) with hepatocellular carcinoma (HCC) in the United States from 2004 to 2009. Hepatology 2015; 62: 1723-30. doi: 10.1002/hep.28123. 3. Wong RJ, Aguilar M, Cheung R, et al. Non-alcoholic steatohepatitis is the second leading etiology of liver disease among adults awaiting liver transplantation in the United States. Gastroenterology 2015;148:547-55. doi: 10.1053/j. gastro.2014.11.039. 4. Younossi ZM, Koenig AB, Abdelatif D, et al. Global epidemiology of nonalcoholic fatty liver disease – Metaanalytic assessment of prevalence, incidence, and outcomes. Hepatology 2016; 64: 73-84. doi: 10.1002/hep.28431. 5. Younossi ZM, Blissett D, Blissett R, et al. The economic and clinical burden of nonalcoholic fatty liver disease in the United States and Europe. Hepatology 2016;64:1577-86. doi: 10.1002/hep.28785. 6. Vernon G, Baranova A, Younossi ZM. Systematic review: the epidemiology and natural history of non-alcoholic fatty liver disease and non alcoholic steatohepatitis in adults. Aliment Pharmacol Ther 2011;34:274-85. doi: 10.1111/j.1365- 2036.2011.04724.x. 7. Bedossa P, Tordjman J, Aron-Wisnewsky J, et al. Systematic review of bariatric surgery liver biopsies clarifies the natural history of liver disease in patients with severe obesity. Gut 2017;66:1688-96. doi: 10.1136/gutjnl-2016-312238. 8. Estes C, Razavi H, Loomba R, Younossi Z, Sanyal AJ. Modeling the epidemic of nonalcoholic fatty liver disease demonstrates an exponential increase in burden of disease. Hepatology 2018;67:123-33. doi: 10.1002/hep.29466. 9. Angulo P, Kleiner DE, Dam-Larsen S, et al. Liver fibrosis, but no other histologic features, is associated with longterm outcomes of patients with nonalcoholic fatty liver disease. Gastroenterology 2015;149: 389-97. doi: 10.1053/j. gastro.2015.04.043. 10. Hagström H, Nasr P, Ekstedt M, et al. Fibrosis stage but not NASH predicts mortality and time to development of severe liver disease in biopsy-proven NAFLD. J Hepatol 2017; 67: 1265-73. doi: 10.1016/j.jhep.2017.07.027. 12. Singh S, Allen AM, Wang Z, Prokop LJ, Murad MH, Loomba R. Fibrosis progression in nonalcoholic fatty liver vs nonalcoholic steatohepatitis: a systematic review and metaanalysis of paired-biopsy studies. Clin Gastroenterol Hepatol 2015; 13: 643-54. doi: 10.1016/j.cgh.2014.04.014. 13. Mendes FD, Suzuki A, Sanderson SO, Lindor KD, Angulo P. Prevalence and indicators of portal hypertension in patients with nonalcoholic fatty liver disease. Clin Gastroenterol Hepatol 2012;10:1028-33. doi: 10.1016/j.cgh.2012.05.008. 14. Guzman G, Brunt EM, Petrovic LM, Chejfec G, Layden TJ, Cotler SJ. Does nonalcoholic fatty liver disease predispose patients to hepatocellular carcinoma in the absence of cirrhosis? Arch Pathol Lab Med 2008; 132:1761-6. doi: 10.1043/1543-2165-132.11.1761. 15. Stefan N, Häring HU, Cusi K. Non alcoholic fatty liver disease: causes, diagnosis, cardiometabolic consequences, and treatment strategies. Lancet Diabetes Endocrinol 2018 [Epub ahead of print]. doi: 10.1016/S2213-8587(18)30154- 2. 16. Torres DM, Williams CD, Harrison SA. Features, diagnosis, and treatment of nonalcoholic fatty liver disease. Clin Gastroenterol Hepatol 2012; 10: 837-58. doi: 10.1016/j. cgh.2012.03.011. 17. O’Leary JG, Landaverde C, Jennings L, et al. Patients with NASH and cryptogenic cirrhosis are less likely than those with hepatitis C to receive liver transplants. Clin Gastroenterol Hepatol 2011;9: 700-4. doi: 10.1016/j.cgh.2011.04.007. 18. Younossi Z, Stepanova M, Sanyal AJ, et al. The conundrum of cryptogenic cirrhosis: Adverse outcomes without treatment options. J Hepatol 2018;69:1365-70. doi: 10.1016/j. jhep.2018.08.013. 19. Bosch J, Harrison SA, Abdelmalek MF, et al. Hepatic venous pressure gradient (HVPG) predicts clinical disease progression in patients with compensated cirrhosis due to NASH. Hepatology 2017; 66:244A. 20. Xiong J, Wang J, Huang J, Sun W, Wang J, Chen D. Nonalcoholic steatohepatitis-related liver cirrhosis is increasing in China: a ten-yearretrospective study. Clinics (Sao Paola) 2015;70:563-8. doi: 10.6061/clinics/2015(08)06. 21. Vilar-Gomez E, Calzadilla-Bertot L, Wai-Sun Wong V, et al. Fibrosis severity as a determinant of cause specific mortality in patients with advanced nonalcoholic fatty liver disease: A multi-national cohort study. Gastroenterology 2018;155:443- 57. doi: 10.1053/j.gastro.2018.04.034. 22. Nagpal SJ, Kabbany MN, Mohamad B, Lopez R, Zein NN, Alkhouri N . Portal hypertension complications are frequently the first presentation of NAFLD inpatients undergoing liver transplantation evaluation. Dig Dis Sci 2016;61:2102-7. doi: 10.1007/s10620.016.4124-3. 23. Baffy G, Brunt EM, Caldwell SH. Hepatocellular carcinoma in nonalcoholic fatty liver disease: an emerging menace. J Hepatol. 2012;56:1384‐91. doi: 10.1016/j.jhep.2011.10.027. 24. Lauby-Secretan B, Scoccianti C, Loomis D, et al. Body fatness and cancer – viewpoint of the IARC Working Group. N Engl J Med 2016;375:794. doi: 10.1056/NEJMsr1606602. 25. Yang WS, Va P, Bray F, et al. The role of pre-existing diabetes mellitus on hepatocellular carcinoma occurrence and prognosis: a meta-analysis of prospective cohort studies. PLoS One 2011; 6: e27326. doi: 10.1371/journal. pone.0027326. 26. Fargion S, Valenti L, Fracanzani AL. Role of iron in hepatocellular carcinoma. Clin Liver Dis 2014;3:108-10. 27. Dyson J, Jaques B, Chattopadyhay D, et al. Hepatocellular cancer: the impact of obesity, type 2 diabetes and a team. J Hepatol 2014;60:110-7. doi: 10.1016/j.jhep.2013.08.011. 28. Weinmann A, Alt Y, Koch S, et al. Treatment and survival of nonalcoholic steatohepatitis associated hepatocellular carcinoma. BMC Cancer 2015;15:210. doi: 10.1186/ s12885.015.1197-x. 29. Stine JG, Wentworth BJ, Zimmet A, et al. Systematic review with meta analysis: risk of hepatocellular carcinoma in nonalcoholic steatohepatitis without cirrhosis compared to other liver diseases. Aliment Pharmacol Ther 2018; 48:696-703. doi: 10.1111/apt.14937. 30. Piscaglia F, Svegliati-Baroni G, Barchetti A, et al. Clinical patterns of hepatocellular carcinoma (hcc) in non alcoholic fatty liver disease (NAFLD): a multicenter prospective study. Hepatology 2015; 63:827‐38. doi: 10.1002/hep.28368. 31. Sinn DH, Kang D, Chang Y et al. Non-alcoholic fatty liver disease and progression of coronary artery calcium score: a retrospective cohort study. Gut 2017; 66:323-9. doi: 10.1136/ gutjnl-2016-311854. 32. Calzadilla Bertot L, Adams LA. The natural course of nonalcoholic fatty liver disease. Int J Mol Sci 2016;17(5). pii: E774. 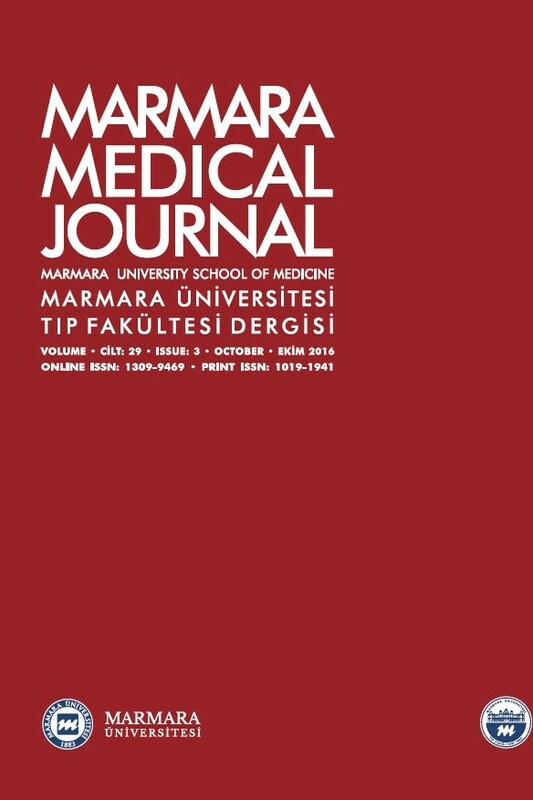 doi: 10.3390/ijms17050774. 34. Yoo JJ, Kim W, Kim MY, et al. Korean Association for the Study of the Liver (KASL)-Korea Nonalcoholic fatty liver Study Group (KNSG) . Recent research trends and updates on nonalcoholic fatty liver disease. Clin Mol Hepatol 2018 Aug 8. doi: 10.3350/cmh.2018.0037. [Epub ahead of print].